Maybe you heard something about Fiber Festival last year, or there’s a chance you saw some surreal movies swing by on Facebook. Well, they’re back this Saturday March 24th. 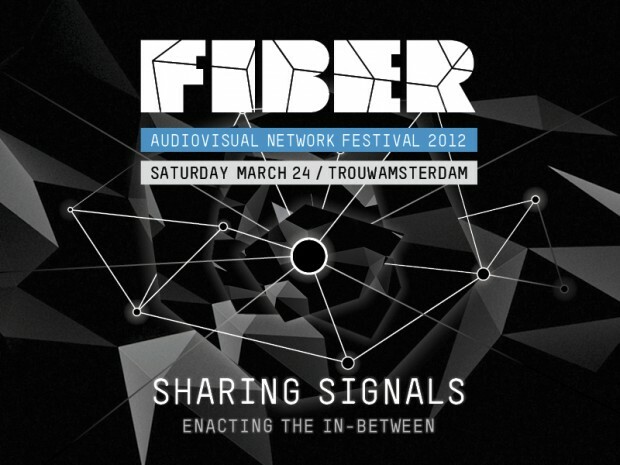 The official description is an “audiovisual network festival”. I’d much rather list it as a mind-blowing super-natural technology convention, where all the cool geeks explore the true capabilities of electronic equipment, leaving me dumbfounded trying to work my iPhone camera to document this pure awesomeness. It’s a mixture of contemporary art, electronic sound waves, experimentation and discovery; a meeting point of image and sound. For some reason I’m always a bit flabbergasted at what is actually possible. It even seems as if things are being blocked from us, the general public. I know that big corporations slow the production line down on purpose to up the ante in sales, but at Fiber Festival it’s all hands on deck to strut your stuff and prove what you’re worth in this harsh world. This year’s theme: Sharing Signals; enacts the in-between. Seeing as how interactive it was last year, this time round the visitor gets a role as mediator. Go check it out and get mind-boggled by projection mapping while bobbing your head to some Berlin beats.